Lawrence and Gibson: it's not just a poster, it's a book cover! it's not just a poster, it's a book cover! Q: Is there a place for the Southern Man in today’s New Zealand? Discuss. 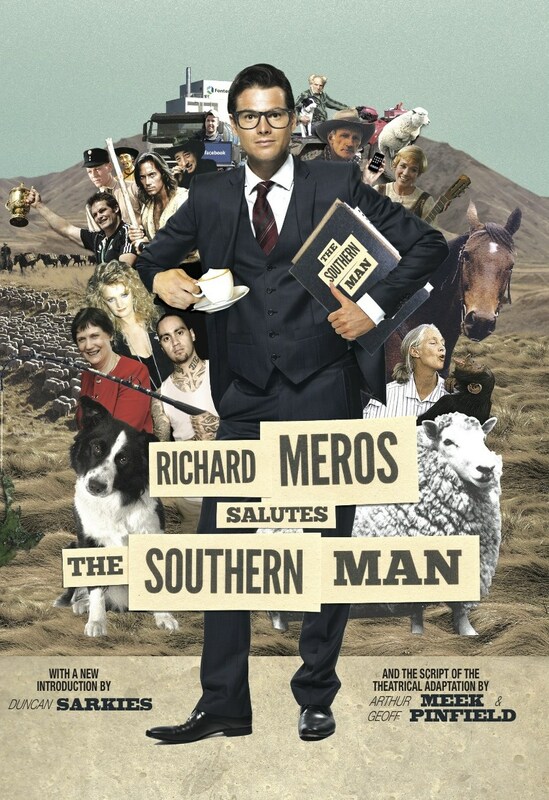 When Richard Meros salutes the Southern Man was first released in 2007 there was an expectation that a National government would save the habitat of this rare creature. One term into that National government there is even more despair: the Southern Man is close to extinction. The March 2012 reissue of Richard Meros salutes the Southern Man contains a new introduction by man-of-the-south Duncan Sarkies (Two Little Boys, Scarfies). A pure veneration of the spirit of the deep south, the occasion for this reissue is the adaptation of the book by the same team that scorched the halls of power with the award winning adaptation of Meros’ first book On the conditions and possibilities of Helen Clark taking me as her Young Lover. As foreign-owned corporates and co-operative conglomerates establish a foot-hold over New Zealand agriculture, Meros takes stock of the legendary Southern Man. Where might I find him? What of the Southern Woman?